Even if the ILC can’t solve the remaining riddles of particle physics yet, its development already does some good. The latest example: two labs at DESY where components for the ILC are developed and tested helped to improve physics classes at German high schools. Ten German teachers participated in the first teacher training programme about particle physics at DESY in Hamburg. From 25 to 28 October, they got an insight into research at DESY, the everyday lives of researchers as well as current topics in particle physics. In the programme the teachers listened to short lectures by scientists about the basics of particle physics, accelerators and detectors but also had the possibility to conduct experiments on their own at three different DESY labs. Two of these labs are also used to develop new components for a future linear collider. At DESY II, an electron/positron synchrotron that provides three test beams with 1-6 GeV/c, prototypes for a new hadronic calorimeter were tested with the AIDA/EUDET beam telescope just recently. For the teachers, a much simpler calorimeter had been prepared. They had to calibrate it and could measure the energy of an electron beam. 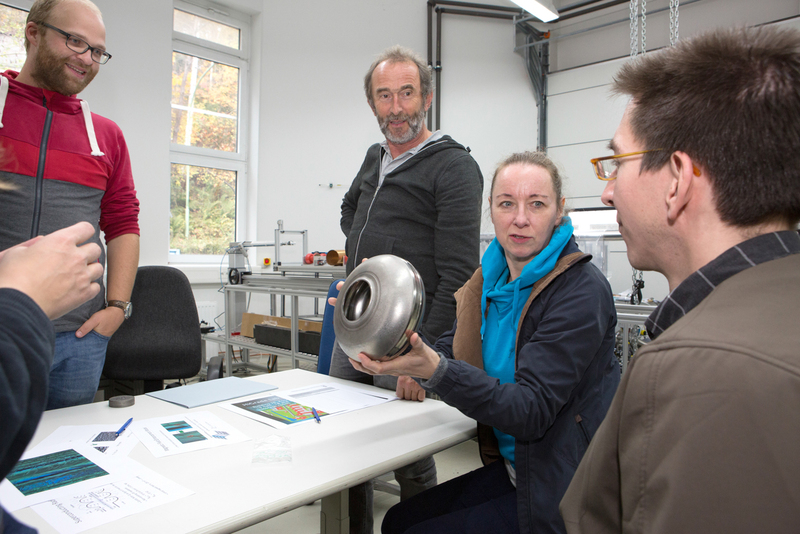 At the HiGrade-Lab, new accelerating cavities made from pure niobium are examined and measured for a better understanding of how cavities should be manufactured, how they behave and what the best treatment methods are. As part of their practical training the teachers also examine and measure a cavity there. At the third lab, scientists showed the teachers experiments that they could conduct at school, including a do-it-yourself cloud chamber built of accessible materials. This was the third time a teacher training took place at DESY in Hamburg and for first time it was focused on particle physics, and so far, the programme is a success story. The scientists who organised the lectures and the experiments seized the opportunity to tell the teachers about their work and to influence the way how physics is taught at school. The teachers enjoyed the opportunity to be a scientist for three days. “Some of the topics we talked about won’t find the way into the classroom because they are too complicated for school. But the experiments were very interesting and we can use them to illustrate contents that are hard to understand,” said one of the teachers. So, there is one riddle the ILC already helps to solve: how can teachers make physic classes more interesting?